Poor allocation: Aregbesola wants budget cut by N12.8bn - BlogIT with OLIVIA!!! 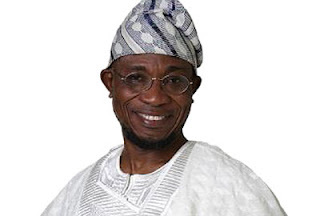 Governor Rauf Aregbesola of Osun State, has sought the approval of the state House of Assembly for downward review of the 2016 budget estimate from N150.7 billion to N137.9 billionAregbesola had last December presented the draft budget to the House for consideration and approval which the house is currently deliberating on. But in a letter read by the Speaker, Najeem Salaam at the plenary yesterday, the governor said the review was necessary to give the government the capacity to implement the budget. A statement by the Chairman, House Committee on Information and Strategy, Olatunbosun Oyintiloye said the governor was seeking the approval of the house for the review of the budget due to the poor economic reality. According to the statement, the letter read in part: “The current economic downturn in the country, occasioned by the dwindling revenue from the federation account, it necessitate the need to reduce the cost of governance. “Therefore, it has become pertinent and inevitable to restructure the 2016 draft budget in line with the reality on ground. “In line with the extant rules and regulations, the House, through your office is being informed about this new development”, the letter added. The governor sought the review of the revenue and expenditure from N150,728,245,450 to N137,977,966,630. Also, the personnel cost is review from N33,344,515,710 to N32,793,966,970; the overhead cost reviewed from N12,276,675,930 to N9,202,330,410; Consolidated Revenue Fund Charge remained N37,123,204,940, while the capital expenditure is reviewed from N67,983,848,960 to N58,858,464,310.